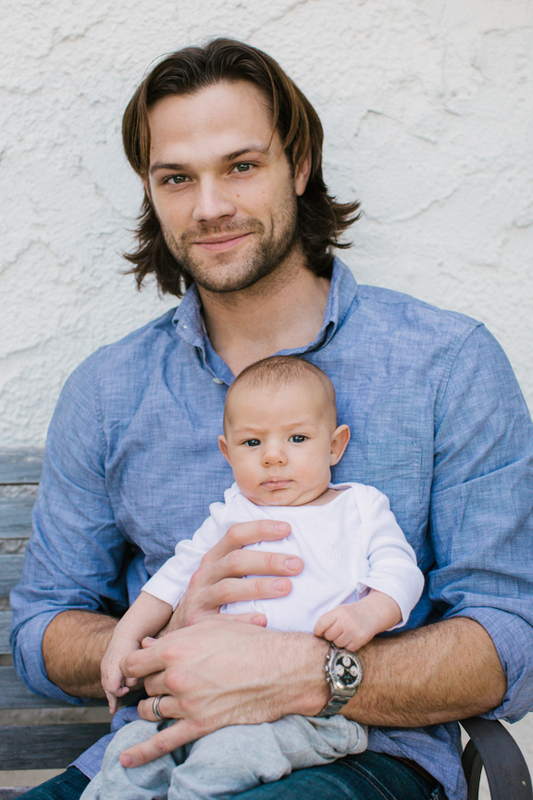 In our first ever Spotlight Q&A, Hip Daddy talks Fatherhood with the man who plays ‘Sam Winchester’ in the hit show Supernatural. I’ve got two sons Thomas Colton who turned 2 on March 19th and Austin Shepherd ‘Shep’ who was born on December 22nd. I truly love being their daddy. Shep is still pretty much a baby, obviously. He likes eating, pooping, and sleeping. However, his FAVORITE thing is to play this game where he will wait for mommy and daddy to go to bed so that he can start crying… kidding ;). Honestly though, he’s also a great kid. He seems a touch more reserved than I remember Tom being at the same age, and has a “wisdom” in his eyes. He’s recently started cooing and smiling and it’s been exciting for me to re-experience this phase of fatherhood. I’m a pretty laid back parent. I don’t like to hover or “helicopter parent” around my boys. I enjoy letting them play and watching them explore. Granted, I’m not going to let them play in traffic, but feel like it’s part of growing up to fall down and get dirty and “meet” new people and learn by trying. I try to intervene only if I feel they are in actual danger, or feel they are displaying bad behavior (i.e. saying “no” to adults, throwing food across the restaurant, hitting, etc.). They’re both still a bit young to grasp the importance of learning certain life lessons, but I also try to be firm and set some sort of “guidelines”. Photographs ©amy and stuart photography. I am a jogger, and Vancouver is a beautiful city, so I enjoy throwing the boys in a jogging stroller and taking them out for a run. I feel like its a good chance for them to see new sights and smell new smells, and they seem to enjoy being “chauffeured” around by their daddy. At home, they both love to read (or, be read to), and Tom has just started a love affair with the original Jungle Book movie. I also love taking them to aquariums, zoos, parks, etc. Shep is still too young to play with footballs, basketballs, etc but Tom is just getting old enough to kick around a soccer ball, or play catch with a football, or get lifted up to “shoot” a basketball. I love that stuff, and CANT WAIT to do it in the years to come. My wife. hahaha. I have so much respect for people who are able to do this alone. I certainly could not. Aside from that, my “one thing” has changed as Tom has grown and as we’ve had our second child. In the baby stage, I relied heavily on my “Baby Bjorn” that holds a child to your chest, thereby freeing up your hands to take care of other responsibilities you may have, like hold your script so you can memorize your lines, or take out the garbage. In that same stage, we also watched more hours of “Signing Time” than I care to admit. It really helped Tom communicate at a young age, and I feel certain that it is going to help Shep too. When that stage passes (and some people might be offended by this), I have found that an iPad mini has helped immeasurably. With all sorts of kid-friendly apps and maybe a few educational tv-shows saved, it can really turn a difficult situation (i.e. flying across a continent) into a much calmer experience. Also, I am coming to terms with the fact that the world my children grow up in will be VERY different than the world I grew up in. I feel that a level of comfort with technology will behoove them, and, as long as it’s balanced with lots of reading and outside-time, I feel its just fine. What does it mean to you to be considered a hands-on Dad serious about fatherhood/parenting? It means a lot to be considered a hands-on dad. I think we all, as parents, can’t help but question ourselves sometimes. it is so imperative to provide a loving, supportive environment to a young human being, and (in my opinion), no one has a larger impact on a person than their parents. FOR MORE EXCLUSIVE PHOTOS OF JARED, PLEASE BE SURE TO SIGN-UP FOR HIP DADDY EMAILS AND FOLLOW US ON TWITTER @Hipdaddy1. Thanks!